In computing, C (/ˈsiː/, like the letter C) is a general-purpose programming language initially developed by Dennis Ritchiebetween 1969 and 1973 at Bell Labs. Its design provides constructs that map efficiently to typical machine instructions, and therefore it found lasting use in applications that had formerly been coded in assembly language, most notably system software like the Unix computer operating system. C is one of the most widely used programming languages of all time and there are very few computer architectures for which a C compiler does not exist. that version is generally referred to as "K&R" C. In 1989 the American National Standards Institute published the standard ANSI X3.159-1989 "Programming Language C" (generally called "ANSI C" or "C89"). The next year, the same specification was approved by the International Organization for Standardization as ISO/IEC 9899:1990 (generally called "C90"). ISO later released an extension to the internationalization support of the standard in 1995, and a revised standard (known as "C99") in 1999. The current version of the standard (now known as "C11") was approved in December of 2011. 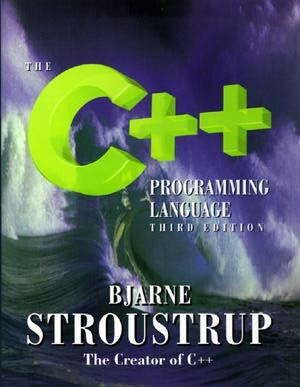 C++ was written by Bjarne Stroustrup at Bell Labs during 1983-1985. C++ is an extension of C. Prior to 1983, Bjarne Stroustrup added features to C and formed what he called "C with Classes". He had combined the Simula's use of classes and object-oriented features with the power and efficiency of C. The term C++ was first used in 1983. C++ was designed for the UNIX system environment. With C++ programmers could improve the quality of code they produced and reusable code was easier to write. Bjarne Stroustrup had studied in the doctoral program at the Computing Laboratory at Cambridge University prior to joining Bell Labs. Now, Bell Labs no longer has that name since part of Bell Labs became AT&T Labs. The other half became Lucent Bell labs. Prior to C++, C was a programming language developed at Bell Labs circa 1969-1973. The UNIX operating system was also being developed at Bell Labs at the same time. 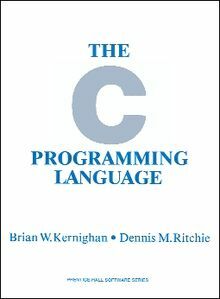 C was originally developed for and implemented on the UNIX operating system, on a PDP-11 computer by Dennis Ritchie. He extended the B language by adding types in 1971. He called this NB for New B. Ritchie credited some of his inspiration from the Algol68 language. Ritchie restructured the language and rewrote the compiler and gave his new language the name "C" in 1972. 90% of UNIX was then written in C. The committee that wrote the 1989 ANSI Standard for C had started work on the C Standard project in 1983 after having been established by ANSI in that year. There were quite a number of versions of C at that time and a new Standard was necessary. C is portable, not tied to any particular hardware or operating system. C combines the elements of high-level languages with the functionality of assembly language and has occasionally been referred to as a middle-level computer language. C makes it easy to adapt software for one type of computer to another. C++ is an "object oriented" programming language created by Bjarne Stroustrup and released in 1985. It implements "data abstraction" using a concept called "classes", along with other features to allow object-oriented programming. Parts of the C++ program are easily reusable and extensible; existing code is easily modifiable without actually having to change the code. C++ adds a concept called "operator overloading" not seen in the earlier OOP languages and it makes the creation of libraries much cleaner. C++ maintains aspects of the C programming language, yet has features which simplify memory management. Additionally, some of the features of C++ allow low-level access to memory but also contain high level features. C++ could be considered a superset of C. C programs will run in C++ compilers. C uses structured programming concepts and techniques while C++ uses object oriented programming and classes which focus on data. Read about the History of C and also about the History of C++.